Large retail organizations make their presence felt by way of their iconic stores across the world, but one hardly gets a look inside their corporate offices. 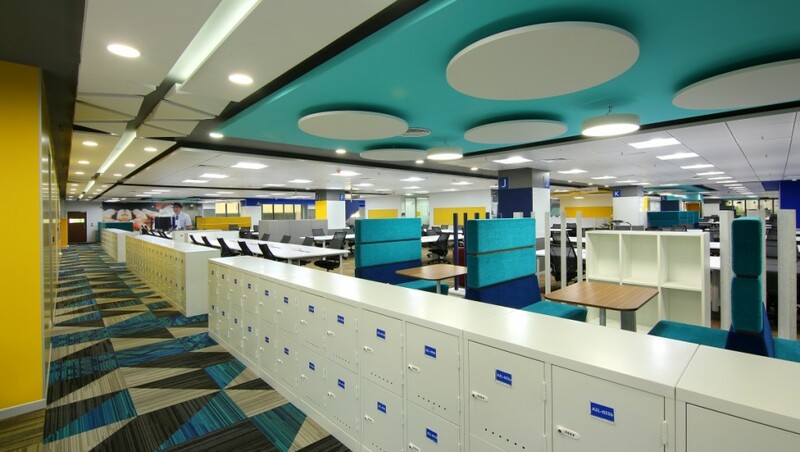 And while Tesco may be yet to set up its hypermarket chains in India, we at OfficeChai got an exclusive peek at the retail giant Tesco office in Whitefields, Bengaluru where the company has just revamped their 15 acre campus into a modern, global and a fun workplace. 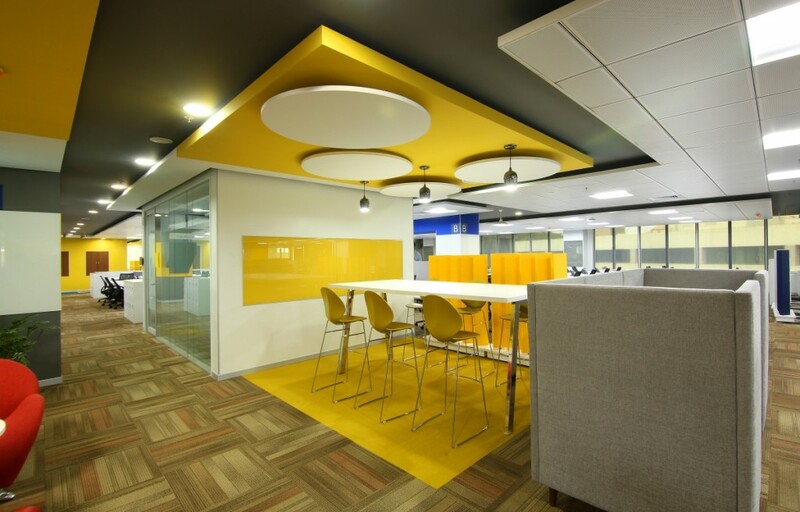 The office has been designed to create a bright, versatile, practical and modern work environment. 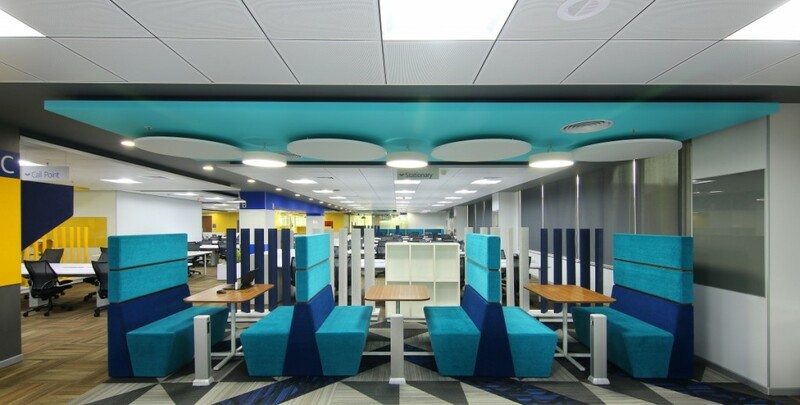 Certain spaces have been designed based on the specific needs of teams. The office allows colleagues to easily huddle up for team meetings or even have one-to-one conversations. Tesco’s leaders sit alongside their teams thus increasing access and transparency in a modern and inclusive work environment. 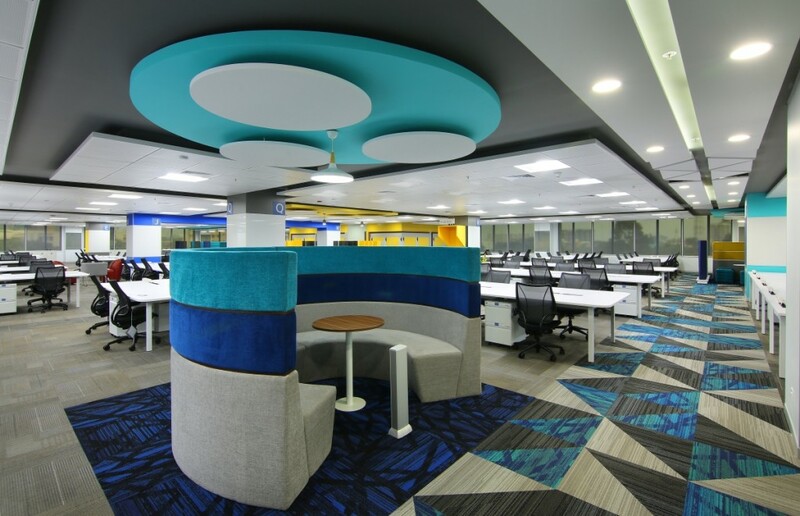 The office has interesting breakout areas, with bright colours and some unsual seating. 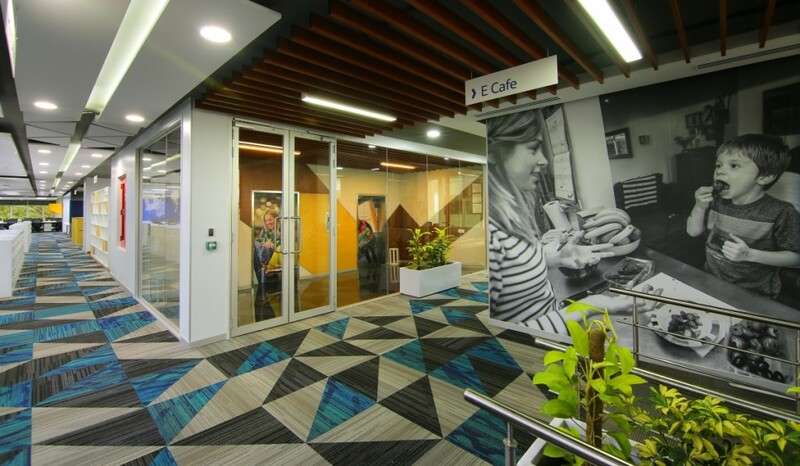 A unique feature in the office are the ‘E-cafes’ on each floor which give colleagues an opportunity to step outside for a quick coffee or even a game of foosball. 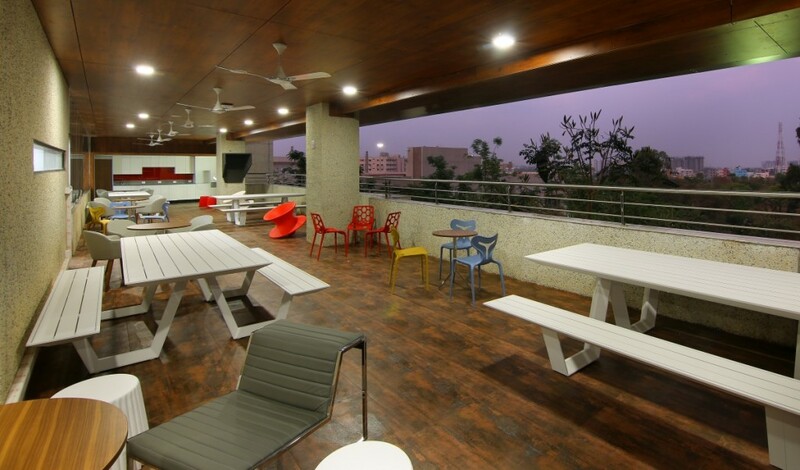 The Tesco office hosts a large cafeteria, on-site crèche, a volleyball court and a gym. The office also has a lounge area on the top floor which doesn’t only make for some much-needed break time, but also provides a great view.